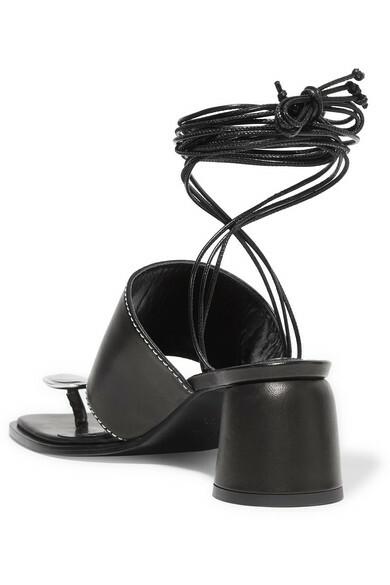 Ellery's sculptural shoes are impossible to miss on your feed - this season, they're inspired by everything from '60s styles to 17th century design. Made in Italy from smooth leather, this pair is traced with contrast stitching and rests on a circular block heel. 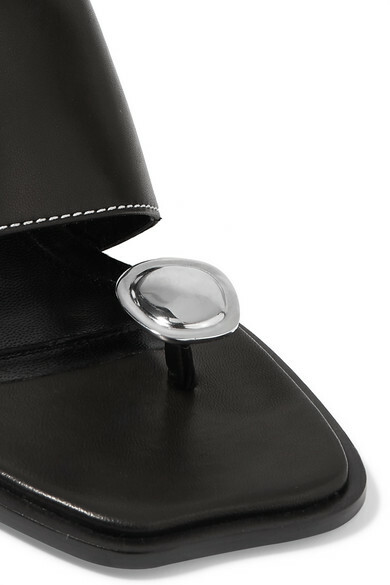 We love how the silver embellishment appears as though it's floating on top of your toes. Show off the ankle ties with cropped pants and midi dresses. Shown here with: Ellery Dress, Loewe Shoulder bag, Ellery Ear cuff.